SAN FRANCISCO (KGO) -- A big change is coming up for drivers heading to Treasure Island from the East Bay. Officials held a ribbon cutting Friday for new on-and-off ramps from westbound Interstate 80. The old ramps were on the left side of the bridge. The new exit and entrance are now on the right side. "Currently, it's on the left side and it is a hard left turn if you want to call it that, instead of a gradual off-ramp that meets highway design standards," explained Eric Cordoba with the San Francisco County Transportation Authority. 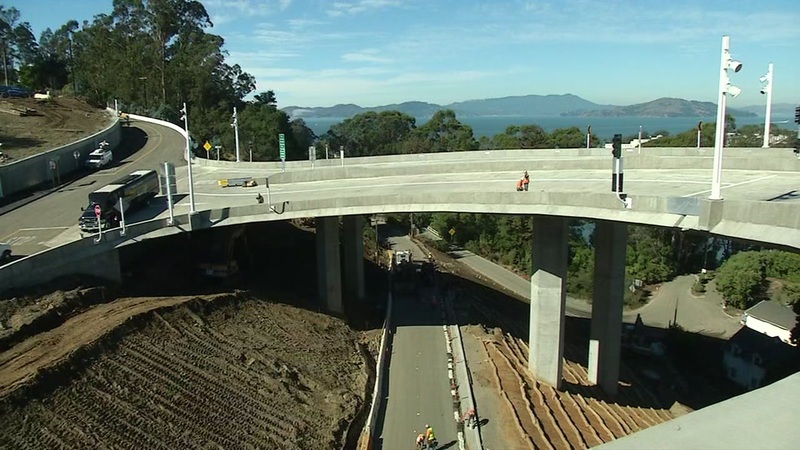 The new westbound ramps on the Bay Bridge opened Saturday. The old ramps closed the same day. Construction is still ongoing on new on-and-off ramps from eastbound 80. Follow ABC7 Mornings traffic reporter Alexis Smith on Twitter and Facebook for traffic udpates. And before you head out to your car, be sure to check out the ABC7 traffic maps for real-time information to help you navigate through traffic jams.